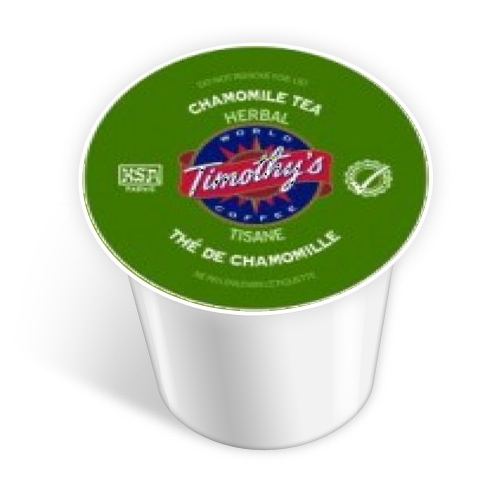 Timothy’s Chamomile Tea is a delicious herbal tea with a lovely aroma and strong (but not overly strong) taste. Ideal for chilly nights, people who like a nice cup of herbal tea before bed, or those with a tickle in their throat that only a quality cup of chamomile can soothe. If you have been looking for a tasty chamomile tea in a K-cup, then look no further – this is the K-cup you’ve been looking for. K-cup herbal teas can be hit-or-miss, but this one is a total hit.